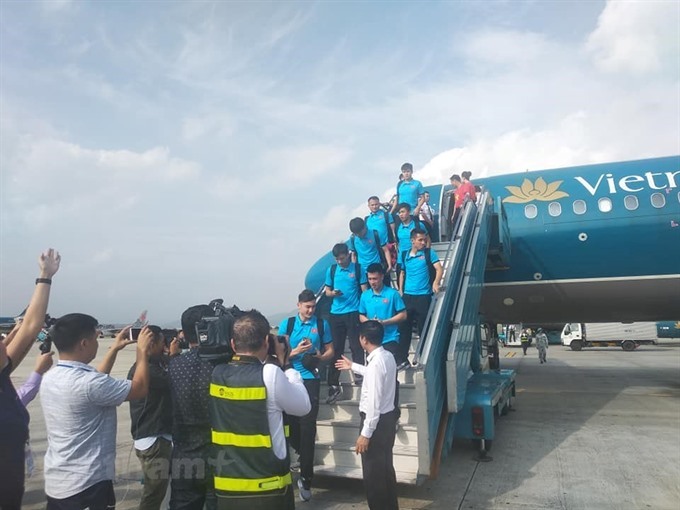 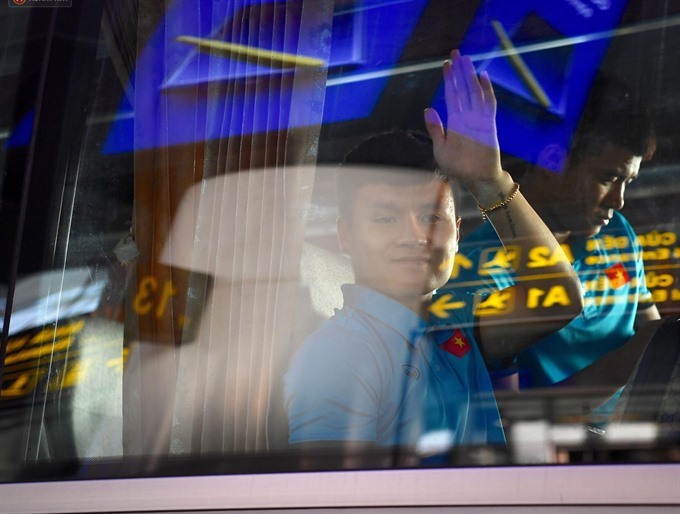 HA NOI — Viet Nam’s national football team returned to Ha Noi’s Noi Bai International Airport this afternoon following a 2-1 win against the Philippines in the first leg of the AFF Suzuki Cup semi-final at Panaad Stadium in Bacolod, the Philippines on Sunday. 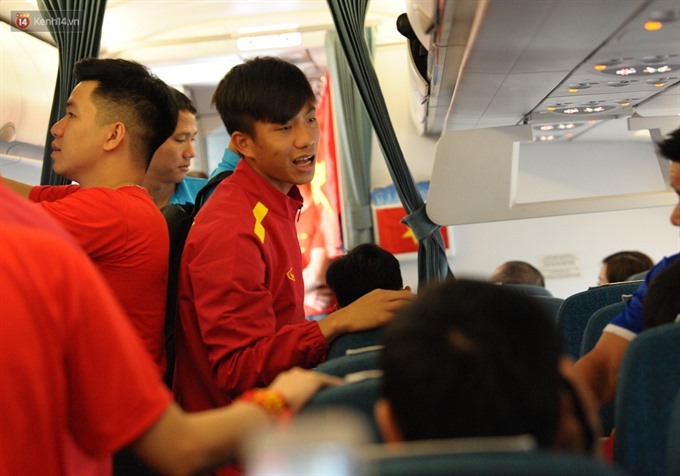 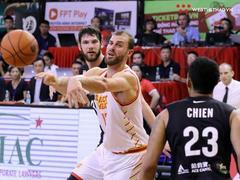 The players were very comfortable and happy after a flight of nearly four hours from Bacolod. 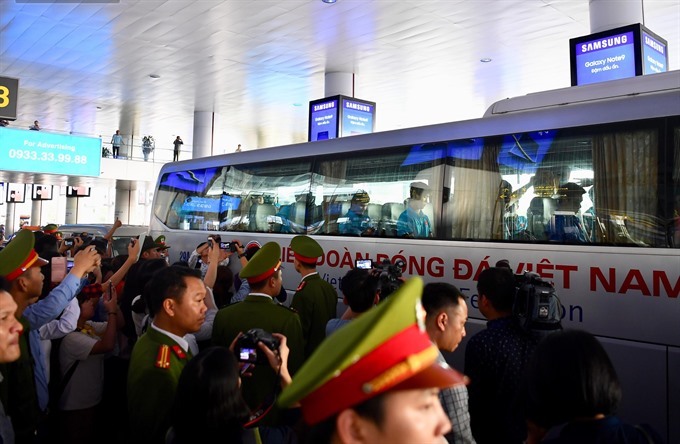 This evening, the Philippines will also arrive in Ha Noi to prepare for the second leg match, to be held at the My Dinh National Stadium on December 6.